Video hosting for WordPress is a bit of a complex topic. There are a number of different paths you can take with it, multiple platforms you have to choose from and dozens of plugins you can use. It can be an intimidating step for your website, especially when you or your organization is ready to start adding video content to your content marketing strategy and you’re not sure how to get started on the technical side of things. In this post, we’re going to cover everything you need to know about implementing video content on your WordPress site. We’ll cover the different paths you can take, platforms that offer video hosting for WordPress, plugins that let you use a custom video player for WordPress and more. Most importantly, we’ll guide you through the process of choosing a path to take, deciding which platform you should use and figuring out whether or not you need a plugin. Let’s start with your options so you can get a better understanding of the paths available to you. Upload files to your own server. Offload content to an external server. Embed video content hosted by a third party. Let’s examine what each of these options are and what’s required of you for each of them. 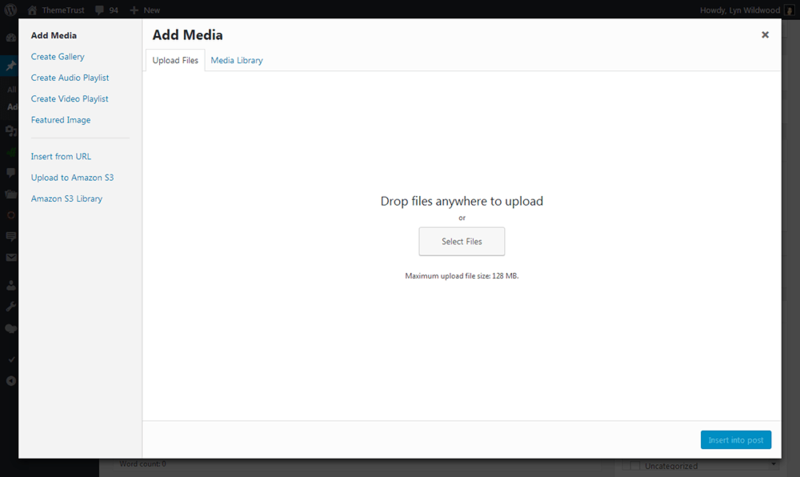 In case you’re not aware, when you open the media gallery native to WordPress and use it to upload an image, you’re actually uploading that image to the server your site is hosted on. The same is true with video content if you choose to use this option. The advantages of using this option are evident. You don’t need to look for platforms that offer video hosting for WordPress or pay for storage for a specific type of content. It’s also much simpler to upload video content to the WordPress media gallery rather than figuring out how to use a third-party platform and embed it into the WordPress editor. That’s about where the pros end, however, and unfortunately, they don’t outweigh the cons, at least not in my opinion. Video files have a tendency to be quite large, and hosts aren’t very generous with the amount of storage they offer. Plus, loading files that large from the same server that hosts the rest of your pages may cause performance issues when visitors try to load pages that contain video content. My advice? Only use this option if you have a handful of videos to upload to your site. Do not use it if your content marketing plan includes frequent video posts. If you don’t want to rely on a video platform, this is the next best option to choose. It involves offloading video content to an external storage server, such as Amazon S3, and serving the content from there. My advice is to use Amazon S3, which is free during your first year and affordable after that, with a plugin called WP Offload S3 Lite if you decide to use this option. It can be a little technical to set up, but it’s definitely worth it if you’d prefer to host your own video content. The way it works is simple. Once you have everything set up, you’ll use the WordPress media gallery to upload video content as you normally would, only it’ll offload to your Amazon S3 storage server rather than upload to your site’s own server. It’ll help pages that contain video content load faster and will allow you to add a large collection of videos to your site without filling up the storage drive the server your site is hosted on uses. This is probably the most popular option as it allows you to use someone else’s server (for free or for a price) to store your video content, embed it onto your website and serve the content from their server. You’ll embed the content in a variety of different ways. If you’re hosting your videos with YouTube or Vimeo, all you’ll need to do is insert a link to your video to embed it on your web page. Otherwise, you’ll need to paste embed code provided by the platform, which is just as simple. vzaar – Plans start at $25/month. SproutVideo – Plans start at $59.99/month. Consider why you’re creating video content. Consider the goals you want to accomplish with your video content. Consider if the platform you want to use has a video player for WordPress that complements your site’s design. Why Are You Creating Video Content? There are a number of different reasons as to why businesses start creating video content. For starters, maybe you simply want to add a few (five maximum) promotional videos to your site. In this case, you’ll want to use option one. You may also simply want to begin adding video content to your content marketing strategy. 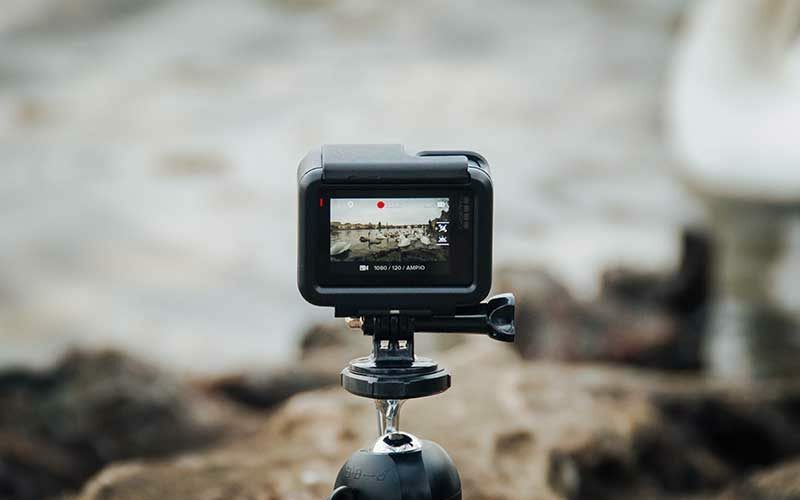 This means you’ll be creating video content on a regular basis, which also means you’ll be better off choosing between options two and three. This may also be true if you wish to create video content to demonstrate something to your audience through video. Finally, you may want to start adding courses to your site. Options two and three would, once again, be the best path to take here. What Goals Do You Want to Accomplish with Your Video Content? Raise awareness for your brand. Provide visual content to your audience. These goals/reasons will greatly impact your choice of video hosting for WordPress. For example, if you want to bring more traffic to your website or raise awareness for your brand, you should strongly consider hosting your content with a platform that has a built-in audience, such as YouTube or Vimeo, and embedding your videos into your WordPress site. Again, this is as simple as inserting the link to the video wherever you’d like it to appear in the WordPress editor. YouTube is one of the top five websites used around the world, allowing you to reach an audience of hundreds of millions of people. You should also consider uploading videos to Facebook as well, which actually does allow you to embed its videos on WordPress sites however unpopular it might be. The only problem is your audience from these platforms may not be willing to transfer over to your website, which means you’ll need to nurture additional audiences (YouTube, Vimeo, Facebook, etc.) that are separate from one another and separate from your blog. This may not be worth it if all you want to do is provide visual content to your blog audience or you aren’t willing to put that much effort into another audience. In this case, you’re probably better off unlisting your videos on YouTube or Vimeo and embedding them on your website, using Amazon S3 to store your own videos, or even use a premium service that offers video hosting for WordPress, such as Wistia, vzaar or SproutVideo. Which Platform Offers a Well-Designed Video Player for WordPress? Most modern platforms and plugins use well-designed video players, but you should still take this into consideration. Take a look at the video player designs of the platforms you want to use, and make sure they complement your site well or can be customized to do so. This isn’t a problem with WordPress’ built in media player (if you choose to store your videos on your own server or Amazon S3), YouTube and Vimeo. There are dozens of video player plugins that offer customized video players. They even support videos from YouTube and Vimeo. I’ll give my suggestions in the next section. If you want to use Wistia, vzaar or SproutVideo, take a look at their video player designs before making a monetary commitment. What is Your Budget for Video Hosting for WordPress? This is probably going to be the determining factor for you as each of these options/platforms offer a different pricing structure. Hosting the files on your own server is “free” since storage is built right into the price of hosting. 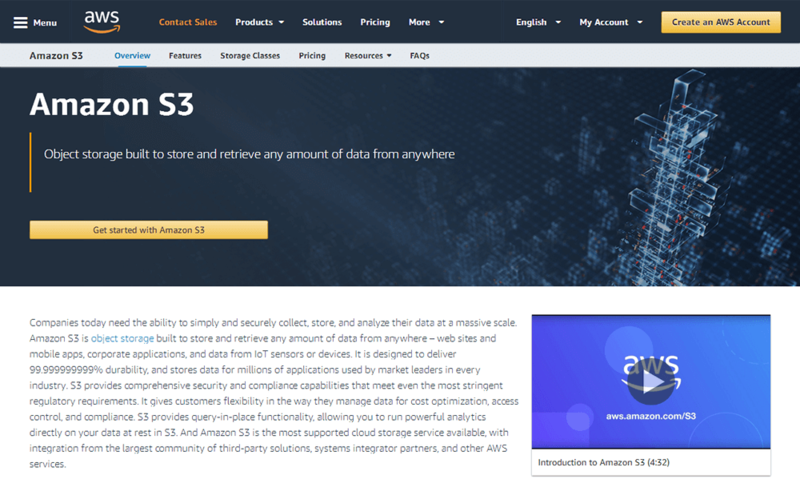 Determining pricing for Amazon S3, on the other hand, can be difficult as they offer their pricing on a per GB and per request basis, such as $0.023/GB. 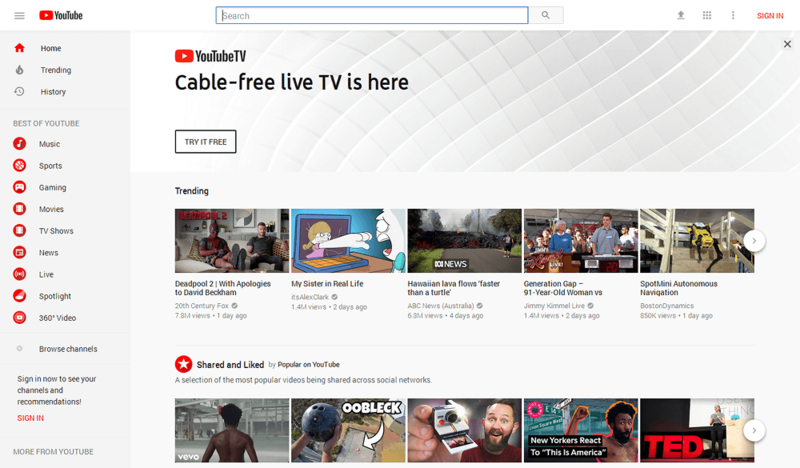 YouTube is free forever, which is why it’s a popular option. You can upload as many videos to your channel as you like without ever having to pay a penny. Vimeo is free until you upload 5GB worth of video. You can pay for a year of video hosting for $84 after that or pay their $12 monthly fee. You’ll only need to upgrade to the next plan if you need to upload more than 250GB worth of videos that year. Wistia is one of the most popular video hosting platforms available, but it comes at a price. Your first three videos are free, but pricing for plans start at $99/month. This plan allows you to upload a maximum of 10 videos, after which you’ll need to pay $0.25/month for each additional video you upload. Pricing for vzaar, on the other hand, starts at $25/month for 250GB of storage and unlimited videos. SproutVideo’s plans start at $59.99/month for 500GB of bandwidth. You’ll be charged $0.10/GB for overages. Determine how much you’re willing to spend on video marketing, being sure to include production costs in that budget. See what’s leftover for video hosting, and go from there. This is optional, but video hosting for WordPress may require the use of a dedicated video player plugin. This is the case for those of you hosting video files yourself or on platforms like YouTube and Vimeo. You’ll likely experience issues trying to get these plugins to work for platforms like Wistia, vzaar and SproutVideo. Let’s briefly go over a few, but keep in mind there are plenty of other options out there. Like I said, video hosting for WordPress is a complex topic, but I hope this article made things a little more clear. Before you choose a way to host your videos and/or a platform to host them on, determine the reason why you want to create video content and the overarching goals you have with it. You should also determine how many videos you want/need to create, how frequently you plan on publishing and how much of your budget you can afford to spend on video production. 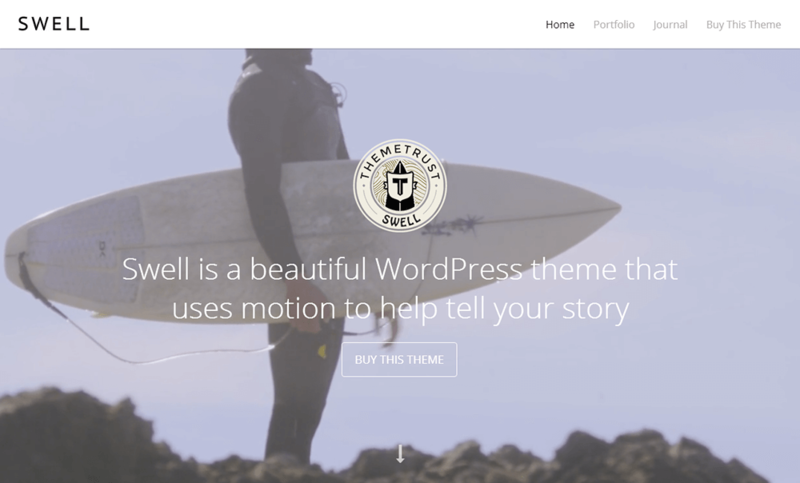 Also, be sure to check out Swell, our video-optimized WordPress theme.